Product prices and availability are accurate as of 2019-04-15 05:20:51 UTC and are subject to change. Any price and availability information displayed on http://www.amazon.com/ at the time of purchase will apply to the purchase of this product. 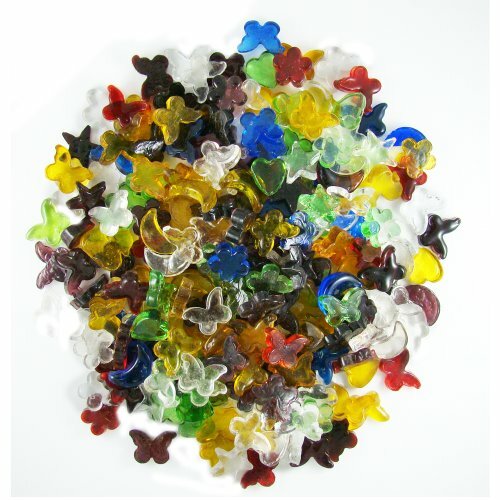 Brightly colored Charmers are miniature glass shapes that can be embedded in soaps, candles and mosaics or added to fish tanks and floral arrangements for extra charm and interest. Each piece is approximately 3/16-inch thick and have a smooth front and back for easy adhesion to surfaces. Contains red, purple, blue, turquoise, green, yellow abd clear moons, stars, hearts, flowers and butterflies.